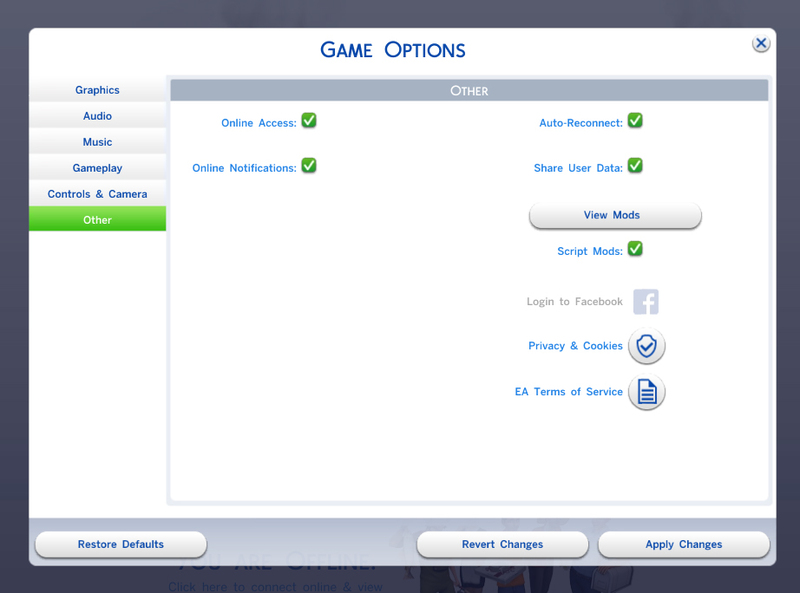 Updated February 21, 2019 - Updated to add a location-based Sim filter which will be required by the next game pack. Not sure what that will be since the pack isn't released yet - likely just something to keep "Strange" Sims from becoming doctors. This update REQUIRES your game to be updated with the latest game patch 1.50.67 (February 21, 2019). As always, if you do update the mod be sure to remove the old version! I got tired of my young doctor-in-training sim getting bad work performance because the only scored work actions available involved the need for a "real" doctor present, but they'd already left for the day to go play golf. And I have this vicious habit that when something annoys me enough, I either do something about it or ignore it completely and seethe. This time I did something. 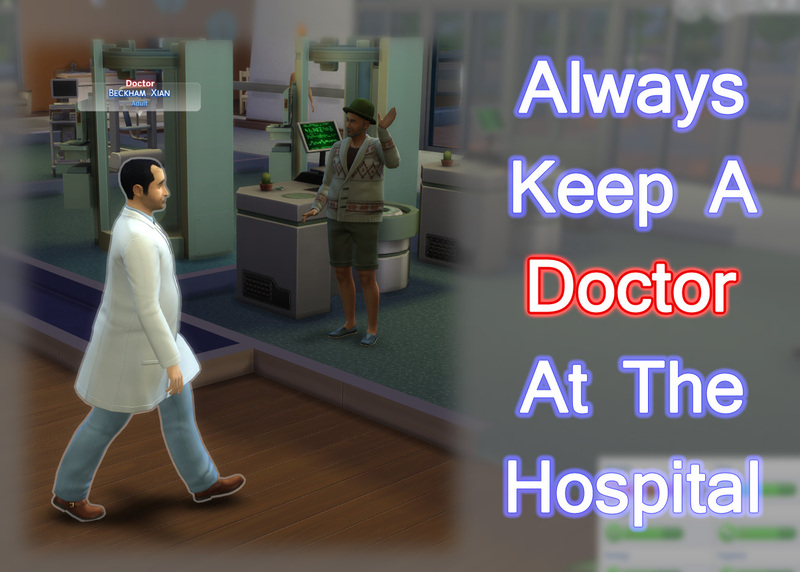 EA was nice and had the forethought to ensure that, if there were no career doctor sims available at the hospital for you to play the doctor-in-training job levels, a "diagnoser" doctor would be made available. However, if that diagnoser left the lot for some reason, they weren't replaced. This is a simple mod to add a "replace" action which occurs if the original diagnostician leaves (or dies slipping in one of those puddles the analysis machine leaves behind) so you can get on with your job if you absolutely must transfer a patient case or otherwise talk to the lazy bum. In the event of a conflicting mod, this package modifies only the situationJob_CareerDoctor_NPC_Doctor_diagnoser (S4_9C07855F_00000003_000000000001C61C) XML resource.